Sometimes it seems that things never change in Libya, or maybe there will be some progress and then something happens and all the progress is wasted. Personally, I've noticed that the best policy in Libya seems to be small, carefully placed steps that move forward a bit at a time. The result will be a big difference in the end. For the past few years one organization has been doing just that. Libyan Women Economic Empowerment has been sponsored since 2013 by MEDA, an NGO based in Canada and the USA. 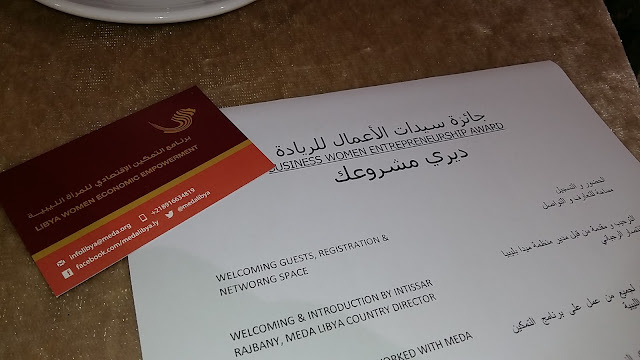 They've been working with Libyan women who are either already established entrepreneurs or those who would like to set up their own businesses. By offering various workshops, support and networking opportunities to Libyan women they are making a big impact, not just on the women who are involved, but on the community as a whole. Last Saturday I attended their award ceremony in Tripoli. 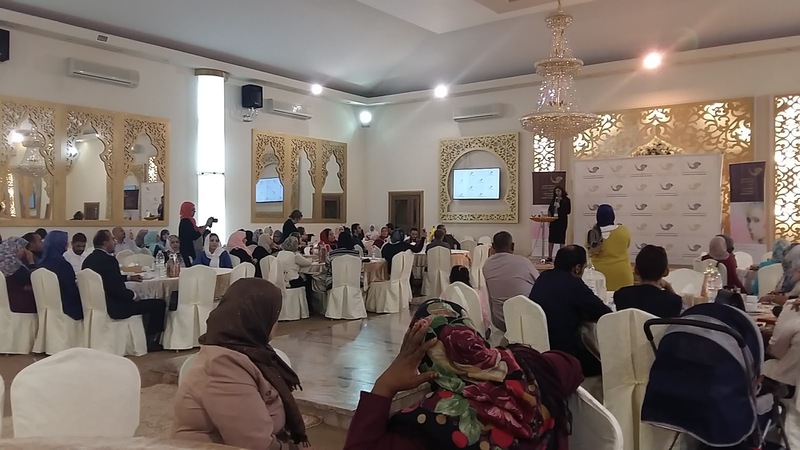 Substantial grants and awards were given to a variety of Libyan businesswomen from throughout Libya and from various sectors. I was so proud to see the enthusiasm that these ladies have for their work and for their support of each other. With one carefully placed step at a time, they are making a real difference in the lives of so many. Today marks my blog's 12th anniversary. So much has happened over the years. I'm happy that I recorded it all in one place. I've learned so much and met so many wonderful people. I've had almost half a million visitors. Thank you for stopping by to read my blog. Blogging is a journey.... an awesome journey! 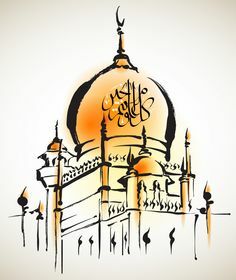 To all my family and friends who celebrate, I wish you a safe and peaceful Eid al-Adha. walillāhi l-ḥamd ولله الحمد and to God goes all praise. About 15 years ago I had a website. I was teaching myself webdesign, graphic design and coding. The website was mostly about Libya. At the time the Internet was fairly new in Libya, there wasn't much information on the Internet about Libya so I decided since I was learning how to create websites I would have a theme, and that would be Libya. It worked out well for me because I learned not only design and coding, I also learned a lot about Libya. I had a great time. I met lots of interesting people in the process too. Having your own domain cost money. 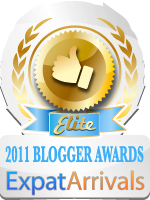 I think at the time I paid about 100 dinars a year, which isn't that much, but along came blogging and that was free. 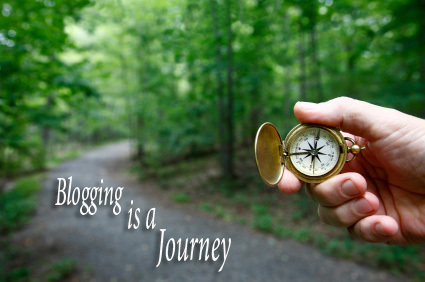 I decided to give up the domain and switch to blogging. At that time we had started building our own house, Libya was rapidly changing, opening up to the world. I wanted to use the blog to keep my family and friends 'back home' up to date about what I was doing and it was easier with a blog. So I closed the website and let the domain sit unused. When I didn't renew it some one in Germany quickly bought it and then tried to sell it back to me - for a ridiculous price! I wasn't interested. Later I found that a Korean massage therapy site had taken over my domain. Thankfully, none of the images they put on there were naughty - kind of thereputic stuff. Recently, they let the domain go and it was up for grabs again. Today I noticed an article on the Internet about the Beta version of Google Domains. I had a look and saw that I could easily, and cheaply, buy my domain back again - so I did! I've set it up so khadijateri.com forwards here, to my blog. Maybe in the future I will do something with it again. I'll have to brush up on coding - it's been a long time!